This freebie is back!! Hurry and grab a 1 Year Free Family Circle Magazine Subscription courtesy of FreebizMag! No need for credit card info. You will never receive a bill. No strings attached! To get your Family Circle Magazine FREE Subscription, just fill out the forms. 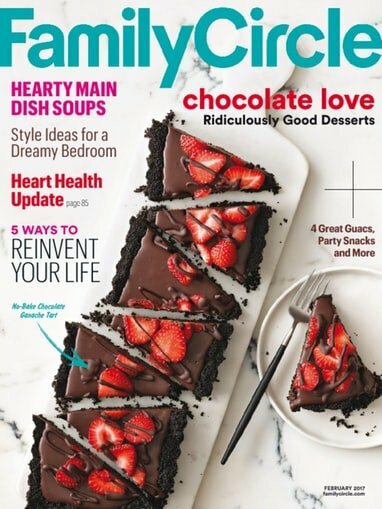 Family Circle has quick and easy recipes, do-it-yourself decorating, fat-fighting secrets and health alerts, family advice, great ideas for getting organized, money and time saving tips, and so much more! The holiday issues have decoration tips, recipes and more! Head on over here for more free stuff and over here for more free magazines.